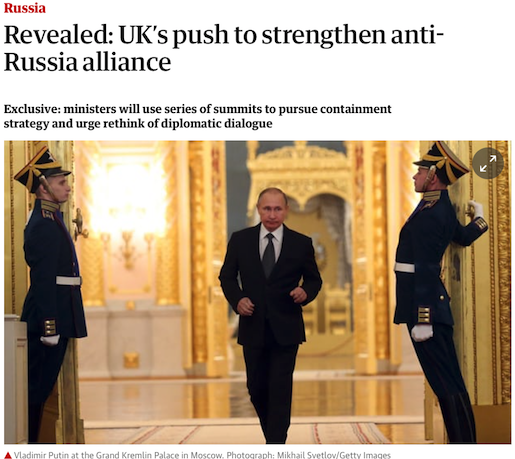 May 04, 2018 "Information Clearing House" -This is the moment when a newspaper claiming to uphold that most essential function in a liberal democracy – acting as a watchdog on power – formally abandons the task. This is the moment when it positively embraces the role of serving as a mouthpiece for the government. The tell is in one small word in a headline on today’s Guardian’s front page: “Revealed”.